Japan had earlier scheduled its Hayabusa2 space probe to asteroid 1999 JU3 to take off on Sunday, but due to bad weather, the launch has been delayed to Monday when it is expected that weather conditions will have improved to make the launch easy and hassle-free. Constructed at the cost of about $260 million, the current Hayabusa2 space probe follows after the successful launch of the first Hayabusa to space in June 2010, approximately 4 years ago. Located at about 3,000 feet and orbiting the sun along the Earth, the 1999 JU3 spherical asteroid will be the destination of this Hayabusa2 probe, and it aims to collect samples that give knowledge and understanding into how life began on Earth billions of years ago. 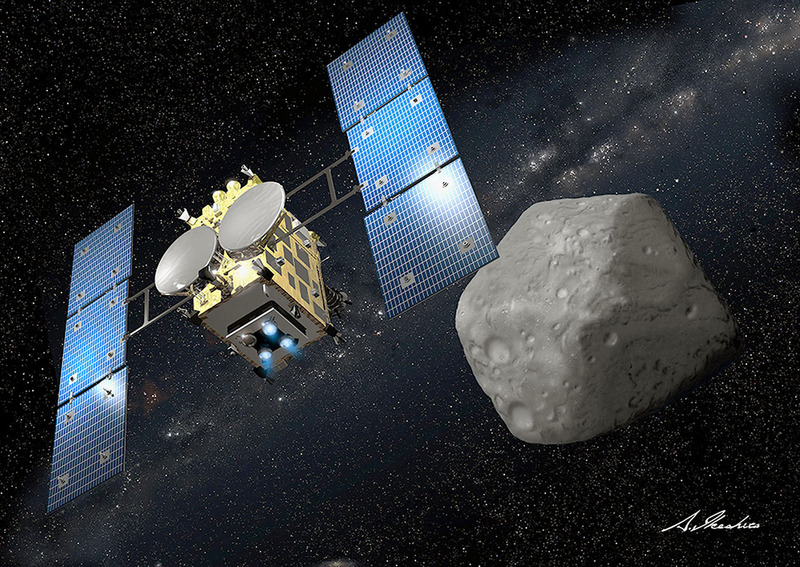 The first Hayabusa mission to a near-Earth asteroid 25143 Itokawa was not too successful according to the rating of the mission scientists – even though the probe returned samples that were analyzed. This second mission probe will improve upon the mission of the first probe, and it has been estimated to arrive asteroid 1999 JU3 by mid-2018, where it will spend some 18 months before returning to Earth in 2020.